Thank you for using the foreign banknote order service. Title Title Mr. Mrs. Miss. Ms. I understand that the foreign banknotes ordering service does not guarantee the withdrawal on the selected date, which is subject to the banknote availability of the designated branch and/or the sole and final decision of Citibank (Hong Kong) Limited (“the Bank”). I agree that I can only submit one order per day, and only the last order submitted will be taken should multiple orders be placed on the same day. I understand that I have to present the acknowledgement email of this order, together with my personal identification document(s), upon foreign banknote withdrawal. Otherwise, the Bank reserves the rights to reject my withdrawal request. I agree that for orders exceeding a certain amount (as annotated after the input of amount of respective currency field), banknotes will only be available for collection after 3 business days (excluding Saturdays), counting from the form submission date. I understand that the cut off time of each day’s order submission would be at midnight 12:00am. Submission made after midnight 12:00 a.m. will be treated as the submission of that day. I understand that, on a US holiday, foreign exchange cannot be conducted with HKD/CNY/USD Statement Savings/Checking/Payroll accounts, while foreign currency conversion among the sub-accounts of the “Currency Manager” will be available. I understand that the ordered funds have to be collected through a teller counter, and that the queuing time will vary depending on the branch traffic. I understand that, unless otherwise noticed, the service hour of the teller counters begins from 9:30am to 5:00pm on Mondays to Fridays, and from 9:30am to 12:30pm on Saturdays. I understand that, in the event of a typhoon, rainstorms or other unanticipated incidents that result in the closure of the Bank, ordered banknotes will be available on the next business day. I understand that I have no choice on the denomination of foreign banknotes ordered via this online reservation form. I understand that I will be charged a service fee for withdrawing an amount exceeding the threshold listed below or as stipulated in Citibank’s Service Fee Booklet. 0.25% of total foreign currency withdrawal amount (Min. HK$50) reaching US$10,000 or above (or equivalent) per day. In the event of any discrepancy between the above charges and “Citibank’s Service Fee Booklet”, the latter shall prevail. I understand that the above order can be rejected should the information provided above differ from any of my personal identification documents. I understand that the above information provided is solely recorded for the use of foreign banknote ordering. No alteration or updates will be made on my customer profile should the information provided above deviate from the Bank’s existing record. I understand and agree that Citibank (Hong Kong) Limited reserves the rights of final decision on the interpretation of these Terms and Conditions. I declare that I am a Citibank (Hong Kong) Limited customer. I will ensure that sufficient funds (or equivalent other currencies) are available in my respective account(s) or I have brought sufficient funds for exchange upon withdrawal. I understand and agree that Citibank (Hong Kong) Limited reserves the rights to charge a handling fee or decline the transaction request if the above declaration is being violated. 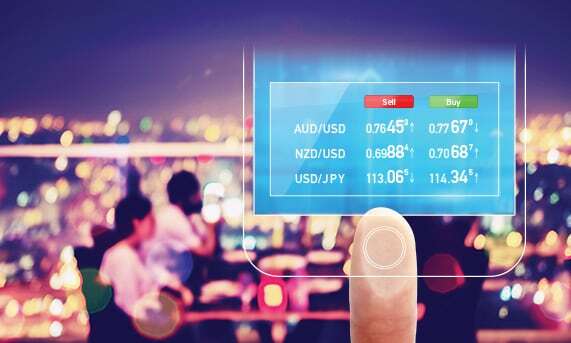 Exchange currency instantly or at your desired rate for a round-the-clock Order Watching Service before your withdrawal!